Some interesting lyrics and an interesting challenge to the hip-hop world. I love it! 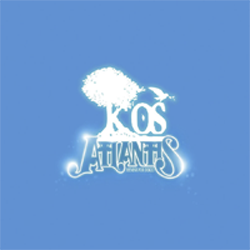 Another thing I love is that K-OS always work a little flavor of faith into his lyrics, you saw Noah referenced in Emcee Murder, and Noah is once again referenced in the newest album Atlantis with the song Ballad of Noah. I have listened to this song on repeat more times this weekend than I can recall. The chorus itself moves me. It’s a song, and even an album, full of searching and hope. Here are some of the words from the song Ballad of Noah, I hope you enjoy them. For the rest of the song’s lyrics click here, there was section that was hard to figure out, but the rest of the words appear to be correct. now it’s on, so tell me why i sing a sad song. who’s the pawn, was i being fooled all along? not at all. cause now i’m strong.